Illinois moves to give its medical marijuana industry a boost, Oregon marks a milestone in its adult-use cannabis industry, and California lawmakers embark on a revamp of the state’s MMJ market. Illinois is expanding the list of approved conditions for MMJ use – and making it easier for docs to help patients get access to medical cannabis. The moves are expected to bring more patients into the state’s MMJ program. The Illinois House of Representatives took the first official step this week, passing a bill to add post-traumatic stress disorder and terminal illness to the list of qualifying conditions for medical cannabis. The legislation also would extend the state’s medical cannabis pilot program until July 2020, and clear away rules that can discourage doctors from providing access to MMJ. The bill goes to the Senate, which is expected to give its thumbs up. Gov. Bruce Rauner supports the measure, too. Cannabis industry advocates and their allies have long sought to expand the state’s list of qualifying conditions – only to have their recommendations shot down by state health officials arguing the program needed more evaluation. The result: The MMJ market hasn’t matured quite as quickly as desired. “The market is a bit smaller than most anticipated it to be at this point. But we have been seeing steady growth month after month after month, which is a great sign,” Bachtell said. 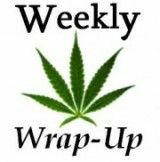 Indeed: After a relatively slow start, the Illinois MMJ industry is finally posting sizable gains – both in retail sales and patient counts. Monthly medical cannabis sales via dispensaries have ballooned by 83% since January, hitting $2.2 million in April alone. The state’s MMJ industry is now on pace to rack up roughly $25 million in sales this year, putting it right in the middle of the $20 million-$30 million estimate in the 2016 Marijuana Business Factbook. Meanwhile, the bill’s addition of PTSD and terminal illness to the list of qualifying conditions should give the market added oomph. “It will give access to a lot of people in Illinois who have wanted access to the program,” Bachtell said. Another key provision: The bill would do away with language saying physicians had to “recommend” MMJ, a move that can invite unwanted scrutiny. Rather, doctors would only have to certify they have a bona fide relationship with their patients, and that patients have one of the program’s roughly 40 qualifying conditions. That nod to discretion is meant to alleviate apprehensions physicians may have about recommending medical cannabis to patients. “It’ll have a tremendous impact. It’ll give patients greater access to the program,” Bachtell said. Oregon bolstered the rollout of its recreational cannabis industry on Thursday with the debut of adult sales of edibles, concentrates and topicals. So how’d it go? Dispensaries reported differing sales results. The new rules allow existing medical dispensaries to sell a 15-milligram edible, a single extract or concentrate product, and unlimited infused topicals to anyone 21 years of age or older. Matt Walstatter, owner of the Portland dispensary Pure Green, said Thursday afternoon his sales were up about 50%-70% versus a usual Thursday. But Adrienne Garcia, managing partner of Pakalolo PDX dispensary in Portland, said her sales had risen half that, at best: approximately 25%. Their responses to the first official day of the new sales were night and day. “It’s a great bump. I’ll take it,” Walstatter beamed. A bill winding its way through the California legislature would revamp the state’s MMJ industry – and rename both the state’s cannabis regulator and the landmark law that set the industry’s ground rules. Assemblyman Rob Bonta, the bill’s sponsor, said the R&D provision would give more leeway to companies that don’t actually sell MMJ devices – but do make products that could perhaps be used for medical cannabis. Those companies would be able to acquire MMJ and use it to test drive their devices. “A device manufacturer should not have to be licensed by the state in order to access medical cannabis,” he said. The bill also calls for the existing Bureau of Marijuana Regulation – would which would be renamed the Bureau of Cannabis Regulation – to develop training standards for cannabis delivery drivers. Drivers also would be required to register with the state and provide insurance information. The banking advisory group, meanwhile, would be made up of representatives from financial institutions, MMJ businesses, law enforcement, and federal banking regulators. Their mission: Draft recommendations to improve the financial monitoring of medical cannabis businesses. “By improving the monitoring, banks and federal regulators will have the tools to become comfortable with banking medical cannabis businesses,” Bonta said. Finally, California’s Medical Marijuana Regulation and Safety Act would get a name change: the Medical Cannabis Regulation and Safety Act.